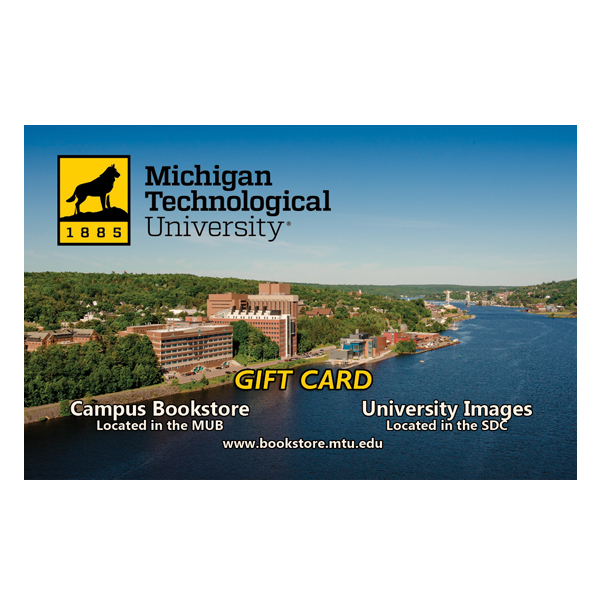 UNIVERSITY BRAND WITH CAMPUS SCENE GIFT CARD. CHOOSE FROM $25 - $200. *IF YOU'D LIKE A DIFFERENT AMOUNT, SIMPLY SELECT ONE OF THE CARDS AND ENTER THE AMOUNT YOU WANT IN THE COMMENTS SECTION DURING YOUR ORDER CHECKOUT. *ONCE YOUR ORDER IS PLACED, YOUR GIFT CARD MAY APPEAR TO BE CANCELLED. BE ASSURED THAT WE HAVE NOT CANCELLED YOUR ORDER, WE ARE MAKING AN ADJUSTMENT TO SELL YOUR GIFT CARD AS NON-MERCHANDISE. *IF YOUR ORDER CONTAINS A GIFT CARD WITHOUT OTHER MERCHANDISE, WE WILL REMOVE THE SHIPPING CHARGE BEFORE PROCESSING YOUR ORDER.